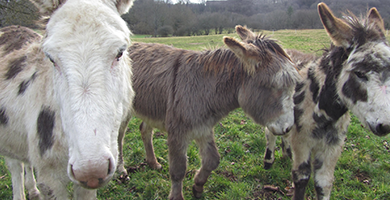 Looking for a tourist attraction in the Correze? 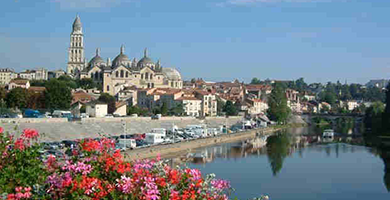 Welcome to this page of the nicest attractions of the Dordogne and Limousin. 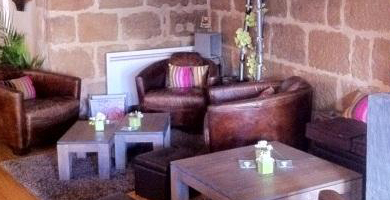 Here you will find all the nice places around the Ancienne Lecole in Corezze. 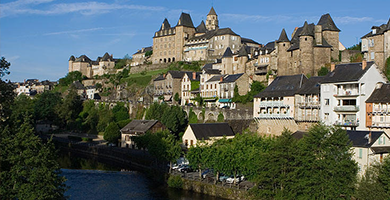 Want to stay in the Correze? Have a look what dates are still open! 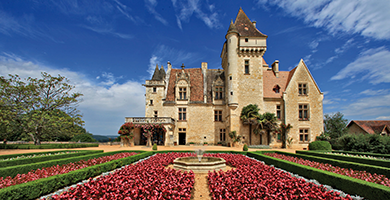 Select a period when you like to visit the Dordogne and Limousin. And you will immediately get an overview. All the nice spots for a perfect holiday are sorted out by distance. You can see at one glance what options there are in the neighbourhood. 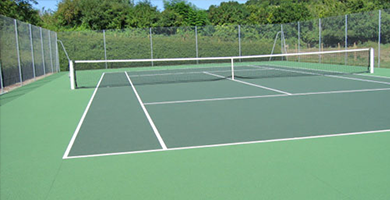 The tennis court of Troche is about 1 minute walking from the l'ancienne ecole. At the village square you will find a board with three different hiking trails. You can choose from various distances and duration. La Table de Troche was opened in 2012. For both lunch and dinner. It is tasty, simple and not expensive. 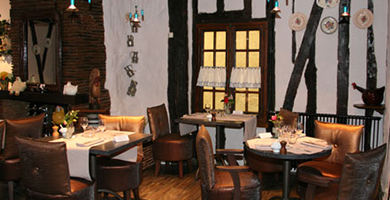 It is a small simple restaurant with a nice terrace at the first floor with a view of the castle moat. You can also order pizzas, however ther are only for take-away. Castle with garden next to the famous racecourse. 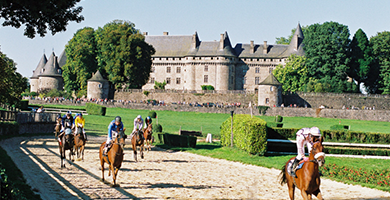 After visiting the castle, the garden and the stables of the Marquise de Pompadour you can visit the famous horse racing track. If there is no race, you can visit it for free. And what if there are races? Well, you can enjoy this exciting (and for the gamblers unnerving) spectacle. Afterwards have a snack and a drink in the restaurant to finish a wonderful outing. Small restaurant (at B & B) run by Englishmen. This cozy restaurant combines British and French traditions. John and Janna are warm-hearted people who like to chat. 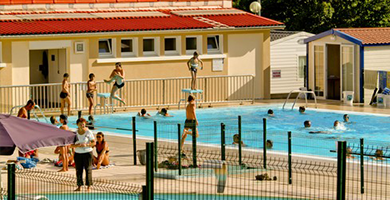 The municipal pool 10 minutes drive from Troche. In the outdoor pool, part of camping De La Vazanie, the little ones can dart and splash around while their parents relax in the sun. There is also a super slide. 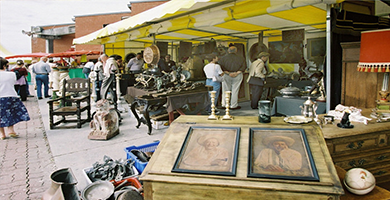 This small market is held every 2nd and 4th Wednesday of the month. 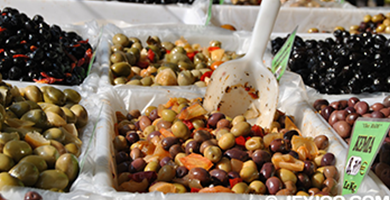 You will find regional specialties at this market. Fingerlicking good! 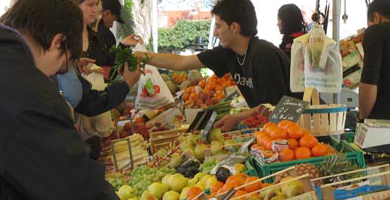 A picturesque French food market which is held every wednesday morning. Classy dinner in beautiful surroundings. Do you like fancy? 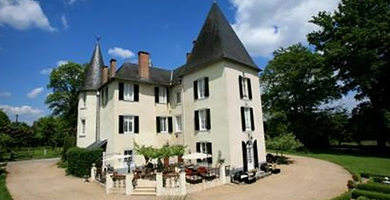 Then we can recommend the Chateau de la Fragne. A Dutch family runs this splendid castle and you can rest comforable in the bedrooms and enjoy an haute cuisine dinner. Because it is open irregularly it is recommend to call to announce your arrival. 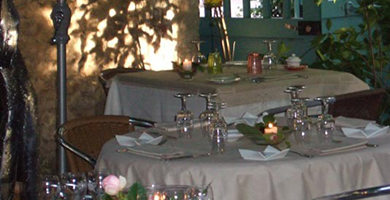 For an extensive high tea there is place for you in the beautiful garden. 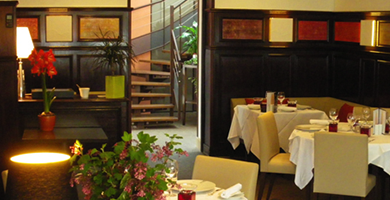 Give the family the warm greetings of the owners of L'Ancienne Ecole. Nice beach of the lake with canoe rentals. Nice beach to laze around, swim and canoe. Really nice for kids. In July and August there is supervision at the beach (from 13:00-19:00 hours). It is also possible to rent a canoe and explore the lake. The 12 medieval ruins of the castle of Richard Lionheart show a beautiful piece of architecture from its past history. Beside the castle there are remnants of timbered houses and the remains of the court of the Appeaux in the village. It is also nice to have a walk and sit and have a drink somewhere. 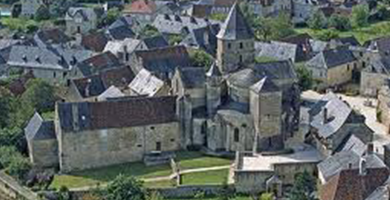 Set in a medieval village in the classic part of France. 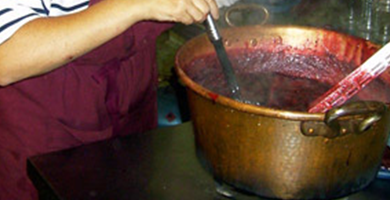 Dishes are prepared in the traditional manner. 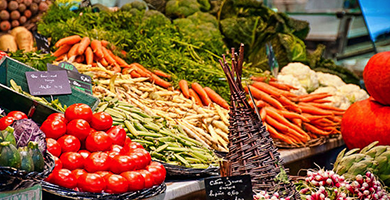 On Saturday mornings you can visit this market. You can also wander in the centre and discover the village. It is nice when you arrive on a Saturday to immediately go shopping on Sunday morning at Objat market. You can combine it with the Leader Price or Carrefour just outside the village. 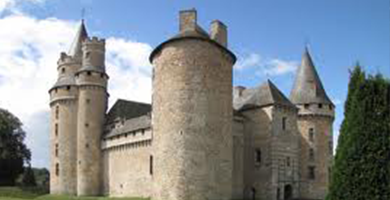 During the tour of this castle you will visit the room of Coussac, the chapel and one of King Henry IV's rooms. Just check the variable opening hours, so you will not be disapppointed when it is not open. This place is a real discovery. The search for the entrance itself is already an experience. The entrance opens into the kitchen. You walk past the stove, where grandmother peels the onions to the outdoor terrace. Let the patron pamper you with his typical delicious regional dishes. There are small exhibitions regularly held about the archeology of the landscape in the area. 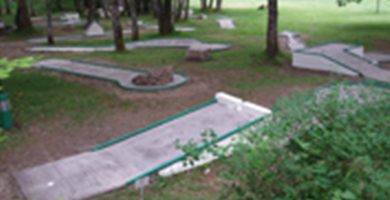 Spend an afternoon at the mini golf. Afterwards you can relax at the nearby beach. Medieval village with breathtaking views. Another one of these beautiful authentic villages of the region. The spectacular ambiance of this village is also used as a backdrop for films, for example, the film of the novels of Claude Michelet. 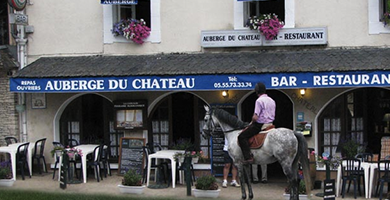 Highly recommended is the restaurant of patron J.C. Breuil, which is also listed here. Every 2nd and 4th Friday of the month, there is a very traditional market where you can find fois gras and poultry among others. Hotel restaurant and golf course. Big indoor and outdoor swimming pool. There are multiple pools and a water slide for the kids. 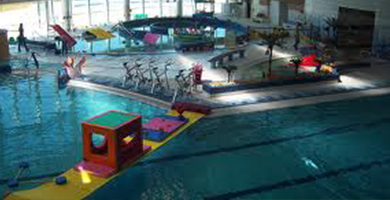 There is also a gym where you can try a new sport: Aquabiking. 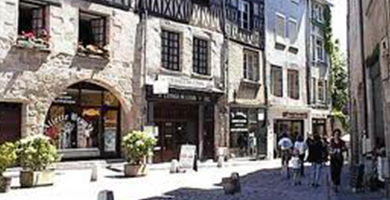 To start the day you can drive to the centre of Brive-la-Gaillarde and park your car in the underground garage Guierle. This is close to the museum La Benche (no parking) and because the parking lot is in the centre, you can leave your car there all day. 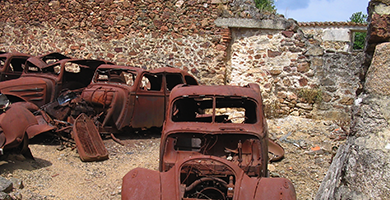 Musee La Benche is a museum displaying the art and history of this beautiful city. 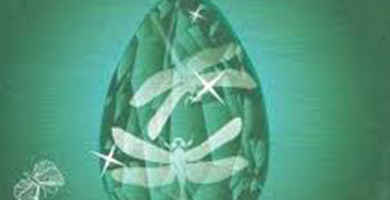 There are different presentations like a prehistoric collection and a collection of fine arts of the Rennaisance. The most important object in the museum are the 10 pieces of the famous tapestry of the Manufacture Royale Mortlake. Nice for the kids as well, as there are special workshops organised for them. 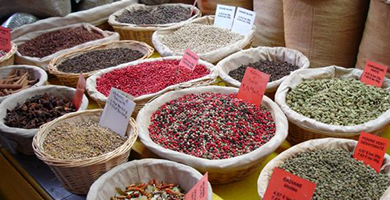 On Tuesday, Thursday and Saturday morning you can visit the well known market in the centre. 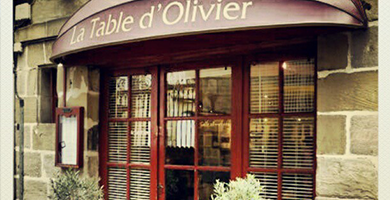 Afterwards, you can enjoy a delicious lunch between 12:00 and 14:00 at La Table d'Olivier. A small and simple restaurant, but the food is excellent. Also recommended for children, because of the famous children menu. You cannot park your car at the restaurant, so you have to use the underground parking Guierle. This is found at walking distance. 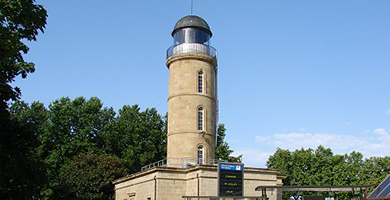 The tourist office is located in the old water tower. Climb the tower and you will have a beautiful view over the city. Tasteful restaurant. Good price-performance ratio. 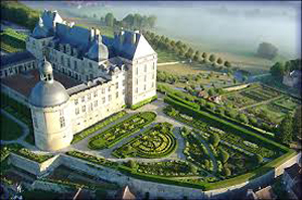 Chateau Hautefort is a medieval castle built on a former Roman campsite. In the 17th century the defensive walls have been replaced with beautiful classical architecture. Go back in time and walk through the beautiful halls and gardens of this castle. This partially covered market is open on Saturday morning. For goose lovers there are many geese products to find. 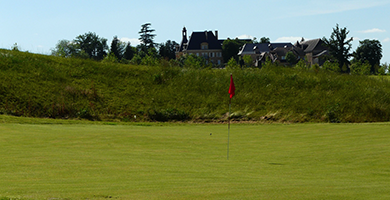 There is a very active golf club at one of the most beautiful places in the Correze. This 18 hole golf welcomes her guests. Reservations are required in advance to avoid disappointment. Learn to know the nature of the Correze in a complete different way. 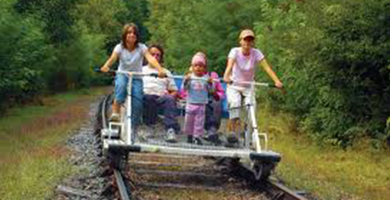 Take a bike tour that brings you over an old railroad to many beautiful spots. Also possible to do with a luncheon break. Only during holidays and weekends. It is also highly recommended to reserve a cart as there is a fixed schedule and there are only a limited number of carts. 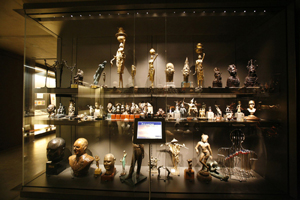 The Museum du President Jacques Chirac has a collection of gifts the president received during official tasks. These gifts show the living image of the world we know nowadays. Medium size museum. Changing collections of fine art. There are also various themed tours. Here you can enjoy a lunch menu. There is a lovely terrace for sunny days. 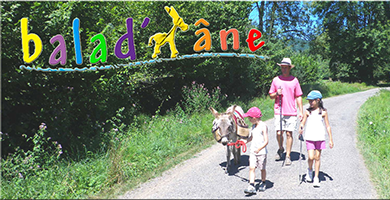 At Lafont near Ligneyrac, about 5 minutes from Collonges la Rouge, walking with donkeys is one of the best ways to see the beautiful Corrèze. For babies and younger children you can rent a pram that has been specially adapted to be pulled by the donkey. Try it out for an afternoon or go out for a few days with your new animal friends. Walks can be arranged at any time of the year. You can also choose to see the area in a quiet way by means of a horse-drawn carriage ride. Three circuits are offered. Full information is available on the website in French. Click on Contact on the website to contact the English-speaking owners. A trip with the children. A zoo with a great diversity of animals and unique plants. In winter the park is also open, but depending on the weather. So consult in advance to make sure that you can visit it. 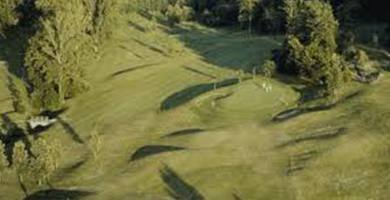 Golf course at exactly a one hour drive from Troche. 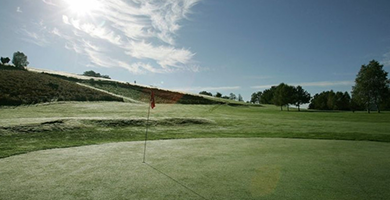 In addition to the beautiful golf course you will find also a 2 star hotel and a 4 star camping. Traditional and quality cuisine. The cheese plate is very tasteful. 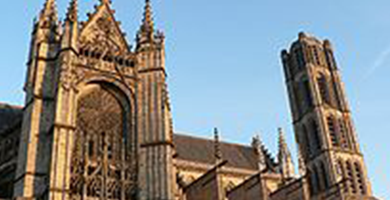 Perhaps you know Limoges for the famous porcelain, but there are no less than 17 protected monuments found in this town packed with history and culture. To start your day, you can visit the porcelain factory. You can park your car at the parking lot Republique, not far from the factory shop. 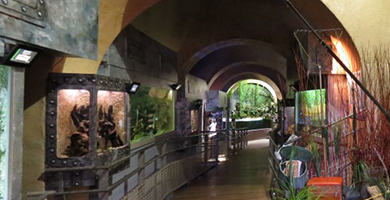 After this must-do you can explore the underwater world in the Limoges aquarium, situated at walking distance from the shop. Real nice for the kids! 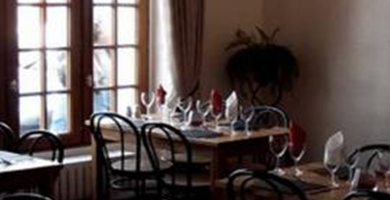 We can recommend a lunch in Le Vanteaux. After lunch you can go shopping or visit the Gothic Cathedral of Saint-Etienne, the Bishop's garden and the adjacent Museum of Fine Arts. 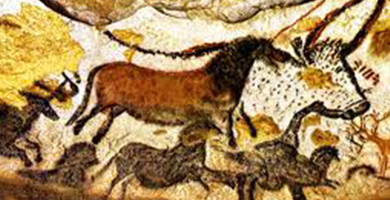 The famous paintings in the Lascaux caves. 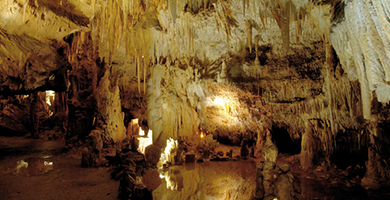 There are guided tours in the widely renowned prehistoric caves. Changing exhibitions can be found here. 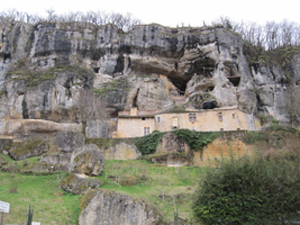 Before you visit the cave you should get an access pass at the Office de tourisme de Montignac. 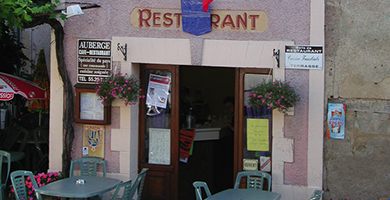 The Tourist Office is found in the village of Montiqnac. Be aware that there might be a queue of 2 hours. 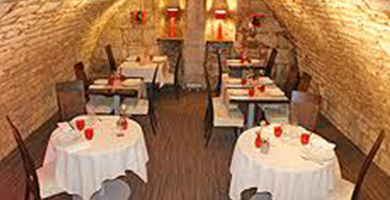 Het address is: Place Bertrand de Born 24290 Montignac. 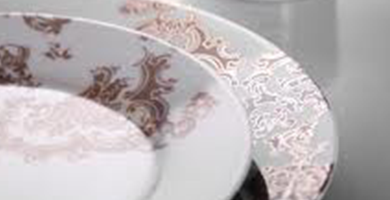 The Royal Limoges porcelain is very famous. It is a small shop with the assortment arranged on a range of tables. Prices range from cheap to very pricey. A factory tour is available on request. Late September till early October the international festival of the Theatres Francophones takes place in Limoges with dance and theater. A special festival is Frairie des Petits Ventres. 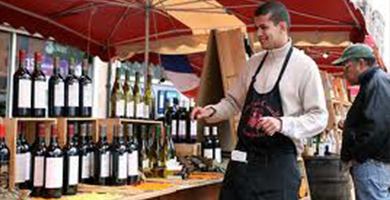 It takes place at the 3rd Friday of October in the Rue de la Boucherie. This is an annual food festival. All sorts of typical regional specialties can be tasted. There are often sheep testicles and typical Girot (special preparation) on the menu. Even the bakers make delicious snacks like patties in buckwheat, clafoutis (special cake) and Treapais (chocolate cake). 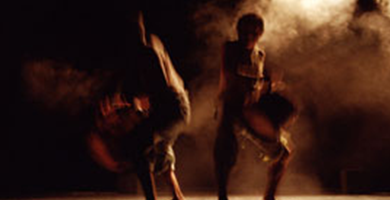 Every two years in January the dance festival for contemporary dance takes place. Here you will see well-known and also less well-known dance groups at various venues in Limoges. Aquarium with 2,500 fish from 300 different species. Varied programs include a self-guided tour with games and facts about underwater creatures. There are also workshops and backstage tours of biologists. Visit the website and see what program there is for the day you like to visit. 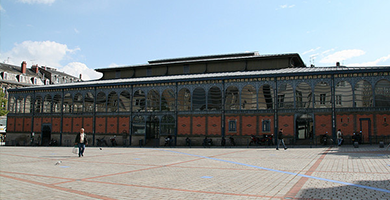 In this covered market you can get daily fresh groceries at various providers of the region. Monday / Saturday from 6:00 to 13:00 hours. 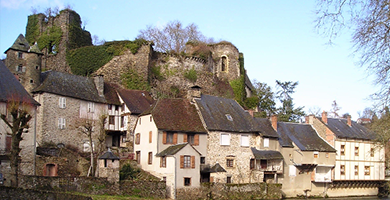 The castle, was built around 1100, where troubadour Bernard de Ventadour used to live. He exchanged poems and recited them along with countless other troubadours. Today you can visit the walls, the round tower, the stately home and the chapel of St. George. Guided tours are possible. A steam engine or a powerful diesel leads the train to give you a great trip. 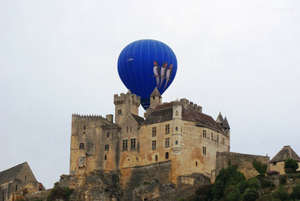 A journey of 13 kilometers long at a hight of more than 80 meters, with a beautiful view over the Dordogne Valley. You can also visit the museum with old railway objects which you van find above the passenger hall. In the insect museum the weird and wonderful world of insects comes to life. The exhibition and the surrounding botanical garden is quite interesting for young and old. Free parking. When you drive along the north side of the river towards the town, at a certain point you will see a road going uphill at the traffic lights, turn into it. This is the Rue de l'Arsault. Park you car here or at the square under the trees. You can now start your stroll through the old quarter of Perigieux (car-free). Walk back through the Rue de l'Arsault and turn right into the Rue Barbecane. From here, follow the old buildings that lead you further. 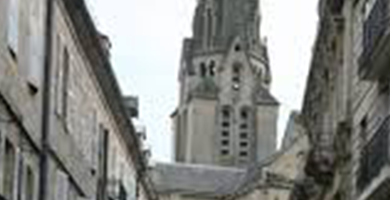 Visit the Cathedral Saint-Front or take a guided tour (for more information Tourist Office: 26 place Francheville). After this walk you certainly must be hungry and we know a very good place to fullfill your needs. Have lunch at Le Clos St-Front (5-7 Rue De la Vertu F) on the terrace under the linden tree and enjoy the fantastic local specialties. Finished with your lunch? Visit the city centre to complete your day with an afternoon full of shopping. 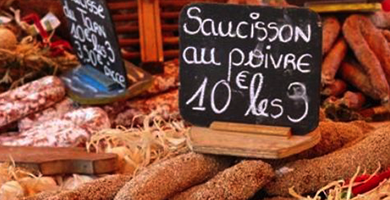 You will find everything from artisanal foie gras and cheese shops to fashionable clothing stores. 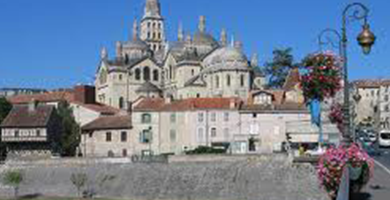 At the squares around the cathedral St. Front there is a market on Wednesday and Saturday with traditional delicacies. 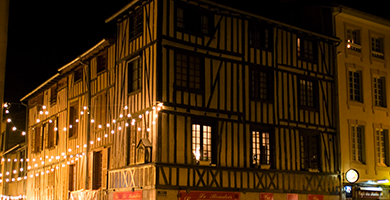 And finally, you can finish the day with a delicious dinner at Hercule Poireau (2nd Rue Nation), where the high quality food and the ambiance of the 16th century will certainly please you. On your way back, you can choose not to take the regular route, but drive through the country side. In this way you can explore the area a little more. It was a former church and monastery before it was named Cathedral in the 16th century. 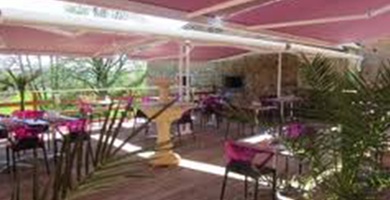 Enjoy a delicious lunch outside on the terrace under a linden tree, sweet gum or banana tree. Or simply enjoy a sandwich inside. This restaurant uses top quality products and this you can taste! The 16th century round stone ceiling adds a touch of romance to your dinner. In short, enjoy! 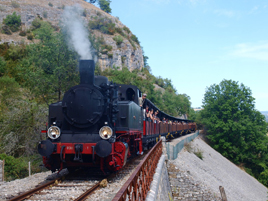 Want to have an ride in an old steam train through the mountains? You can take this trip for the price of € 10,50 (adult) and € 6,50 (child). 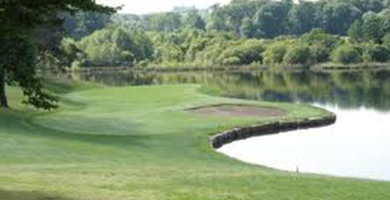 This 18 hole course is nestled amongst trees and fairy like ponds. This castle which was cut out of the mountain with many underground rooms is really something special. There is also a room full of medieval torture devices that you can visit at no additional cost. A family business that since 1964 is producing gingerbread according to old traditional recipes. 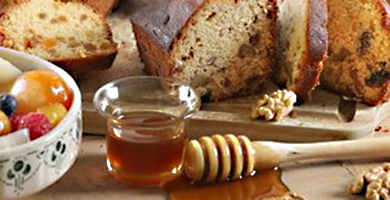 Pain d'épice prodcues annually tens of tons of gingerbread that were made based on a rigorous selection of honey. Go along to discover the twelve varieties of gingerbread. The shop is open all year from Monday to Saturday. Only the first week of January the shop is closed. The Museum is the largest museum of old machines and mechanical toys of Europe. 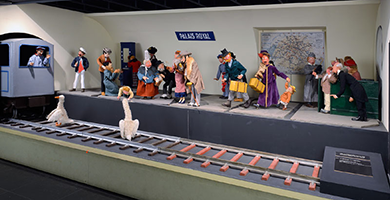 Le musée de l'automate is a museum full of mechanical and electronic dolls and animated figures from the 19th and 20th centuries. The museum is open all year. Closed on mondays, except in July and August, then the museum is open 7 days a week. 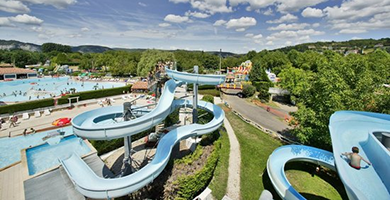 The amusement park is next to the Dordogne River and offers a variety of activities for all ages. It is a nice day out for the whole family. 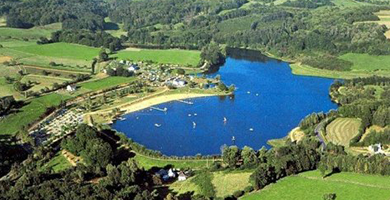 There is an aquapark, you can go canoeing or kayaking through the Dordogne river, you can rent a bike to explore the region or you can paddle on a paddleboard through the Dordogne river. The park is open every day between May and September from 11:00 o'clock until 20:00. Nice golf course in the middle of the woods. A very beautiful and impressive bird show with unique birds of prey which takes an hour. 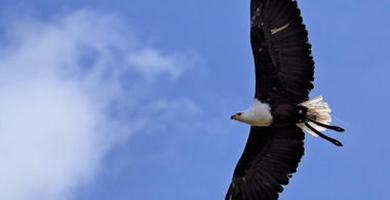 There is also a lot of explanation and information about the different types of birds. 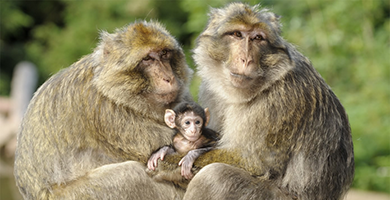 A fascinating walk along more than 150 freely running Berber monkeys. During the walk in the monkey forest there will be no cages that obstruct your sight, you will be in direct contact with this amazing type of monkeys. Participate in the family quiz with a prize for the lucky winner. The free quiz is available at the entrance of the park. Do you want a break during the walk? Then visit the park's cafe to enjoy a selection of sandwiches, salads, drinks and ice creams. The park is open daily from 25 March until 5 November. Take a look at the website for the opening hours. Genocide by the SS during WW II. Village completely set on fire afterwards. A beautiful cave cave with several rooms. With a small train you are driven into the cave. Here begins the walk. A guide gives the tour and takes you to the most beautiful rooms in the cave. When visiting the different rooms a lot of stairs has to be used. 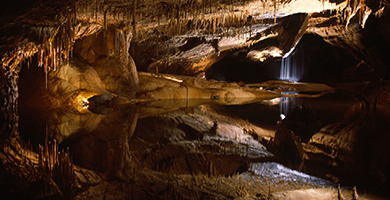 The cave is open from 9:30 until 12:00 and from 14:00 until 17:30. The tour lasts 1 hour and 20 minutes. 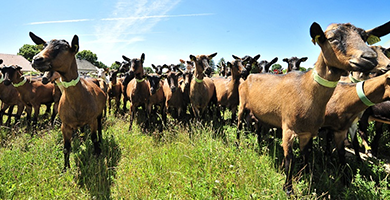 A traditional goat farm in Rocamadour with information about the process of making goat cheese. Visiting the farm is free and the farmhouse is open all year. The farm offers a guided tour which is free of charge. Between May and September the farm offers a picnic that is tailored to your budget. Take a look how the miliking process works, which takes place every night at 17:00 or join the workshop hand milking every Wednesday at 16:00 in July and August. 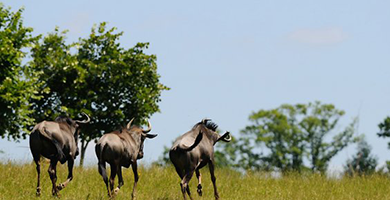 A beautiful animal park in Gramat, founded in 1979. Discover more than 150 species of animals from different European countries throughout the year. 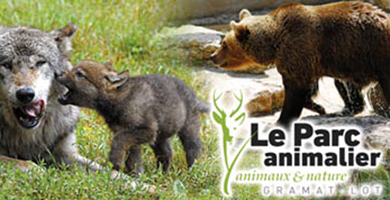 You can see bears, wolves, lynxes, otters and more kinds of animals. The park was established to protect animals that have existed for centuries, but unfortunately disappear over time. The cave of Domme is located in a special geographical location, namely literally below the village. The entrance of the cave is in the middle of the market sqaure and you can purchase the tickets at the Office de Tourisme in the city center. The tour is guided by a guide and the tour runs a distance of approximately 450 meters where you can discover many rooms and admire many stalactites and stalagmites. 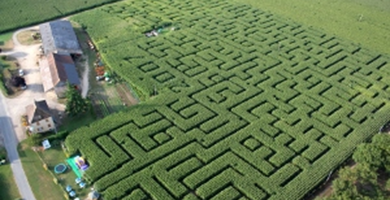 A nice big maze of maize plants. In the heart of the corn maze, a hermit offers its last resistance to the modern world. Within the maze there is free animation like inflatable castles and trampolines and there is also the possibility to eat and drink. Admission for adults is 7 euros and for children under 1.20 meters 5.50 euros. 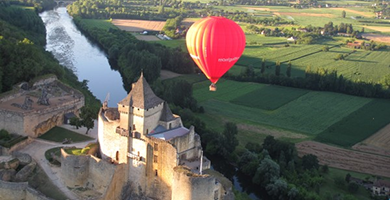 Explore the Dordogne from a hot air balloon. Château des Milandes is a historical monument since 2009. 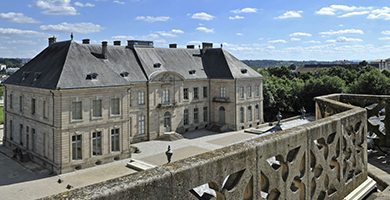 This beautiful castle is known as the house that belonged to Josephine Baker, a musicall star from the United States. 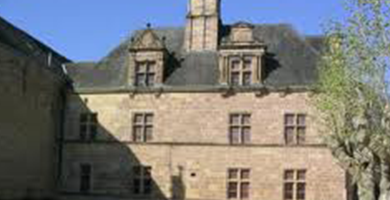 In the castle there is a museum dedicated to her, where many theatrical costumes and other objects are on display. Also, you can see raptors who give performances. The castle is open from the first of April 2017 until the 12th of November 2017 and from the 23th of December 2017 until the 7th of January 2018. Make an appointment early in the evening or in the morning. 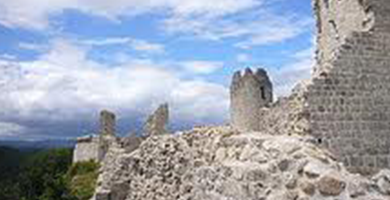 Fly over the river and look down on the many castles and history of region. Because it is a balloon trip it might be canceled due to weather conditions. An unforgettable day in a horse carriage through nature. 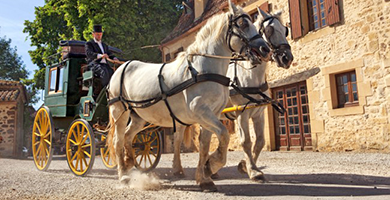 Le Périgord en Caléche, located in Mazeyrolles, offer horse-drawn carriage rides. A fun day trip through the woods with a driver who prepares you a meal for lunch, who offers a Foie gras tasting with wines from Monbazillac and Sauvignon and who gives you a drink on the way back. 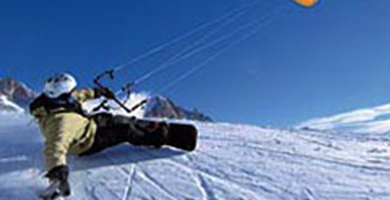 Cross-country skiing, hiking, skiing and snow kiting. A ski area close L'Ancienne Ecole! Here you can ski off-piste accompanied by a guide, even for less experienced skiers. Ski from Mont Dore over the mountain and you will arrive in Super Besse, definitely worth a try! Again, leave at 09:00 from L'Ancienne Ecole and you will reach the slopes at 11:00. You can check the website for live webcam images to see the condition of the slopes. A nice boat trip for a day to discover Cahors. 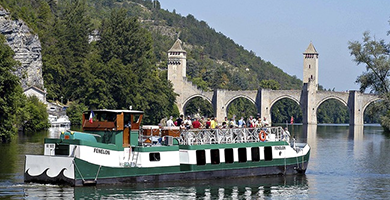 The boat trip is a fun way to see the sights along the river of Cahors. There are two different routes you can choose from. The trip starts in the morning, lunch on board is included and you will be back in the evening around 18:00. The boat trip goes from May until September. 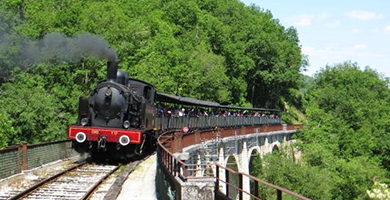 You can also choose to explore Cahors with a little train. This trip takes 45 minutes and the train runs from May until September. A day out skiing is pretty close to find. A lovely day out. Get in your car at 08:00 and at 10:00 you are at piste. Nature will surprise you during this exciting trip. 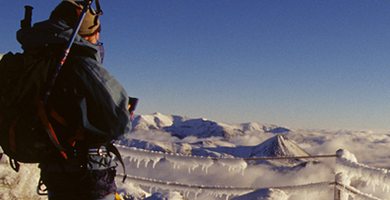 Enjoy the breathtaking views while lunching and the ski tour afterwards. You can also hike. If you leave at 20:00 you will be back in Limoges at 22:30.